The family of 24 year old Anwaar Lahrichi-Greenwood have made a plea for information following the tragic discovery of his corpse floating in San Antonio marina on Sunday 5th August. Though the circumstances that lead to Anwaar’s death are at this stage unknown, the family have not discounted the possibility of a criminal act. They have posted a £5,000 reward for information that leads to a criminal conviction. 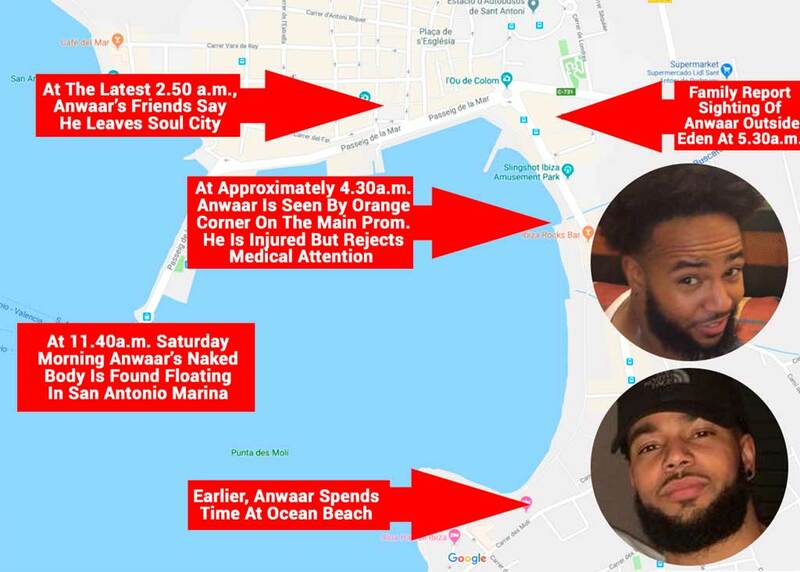 Anwaar’s family have been to San Antonio, holding a vigil at the spot his body was found, and handing out flyers requesting information in the area he was last seen alive. “We are the family of Anwaar Lahrichi-Greenwood. You may have read of his untimely death whilst here on holiday in Ibiza. Anwaar was a 24-year-old son, brother, nephew and cousin. He was also an active member of the community in the UK working with disadvantaged and vulnerable children. His ambition in life was to open a foster home. He was wise beyond his years, caring and gentle. His untimely death is a tragedy for his family and the local community he lived and worked in. We his family would like to appeal to all The Ibizan readers for information relating to Anwaar’s last hours. Anwaar was found drowned in San Antonio bay in the harbour on Sunday 5th at 11:40am. His night began on Friday 3rd at Ocean Beach. He was later thought to have left Soul City in the early hours of Saturday morning. He was also witnessed outside Eden at approx. 5:30am having sustained injuries, possibly in a fight. No further sightings have been confirmed since this time. We are appealing for help filling in the timeline of Anwaar’s last movements. However insignificant you may think your information is please contact the family on the Instagram page @justiceforanwaar, by email syan_angol@hotmail.com, or if preferred via The Ibizan at editor@theibizan.com. Our report Saturday 4th August. 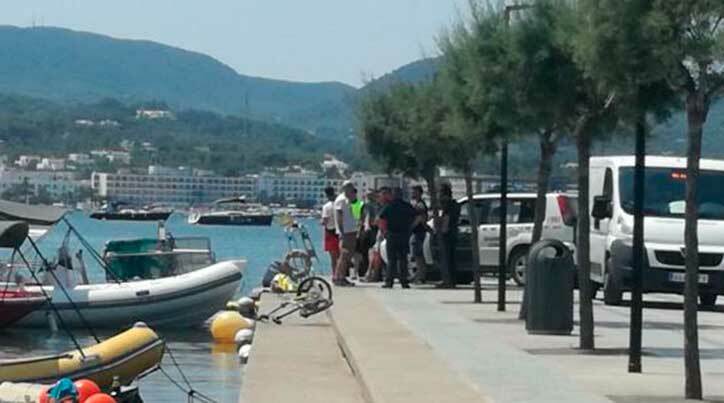 Police have confirmed that a body found floating in San Antonio marina today is that of a 24 year old British Tourist that had been missing for 2 days. Police and Guardia Civil have now taken over responsibility for investigating the circumstances of the death. They have stated that the body shows evidence of some “bumps and scrapes”, but nothing that would give any indication of a cause of death. Port police took control of the incident and recovered the body. The discovery follows that of a man of Asian origin said to be in his 30s, also found dead floating at the small Es Pouet beach in San Antonio last week. police are still asking for assistance in helping to identify the deceased person.